This entry was posted in alternative transportation, bikes, seattle, xtracycle and tagged bikes, Cargo bike ride, cycling, Labor Day Cargo Bike Ride. Bookmark the permalink. Good times, for sure – thanks to all for riding with us, and thanks to Anne and Tim for the great pictures! 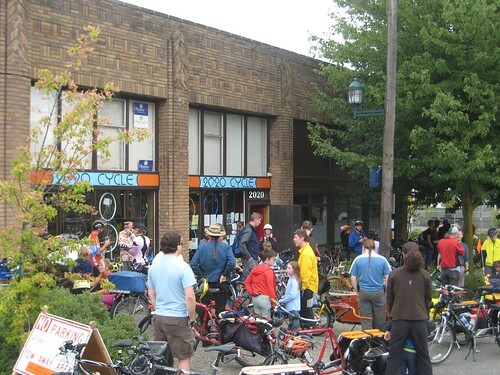 How was the labor day 2009 cargo bike ride? I’m guessing it’s was good, but unfortunately, we missed it. I guess we were just out of the loop and it slipped our minds. 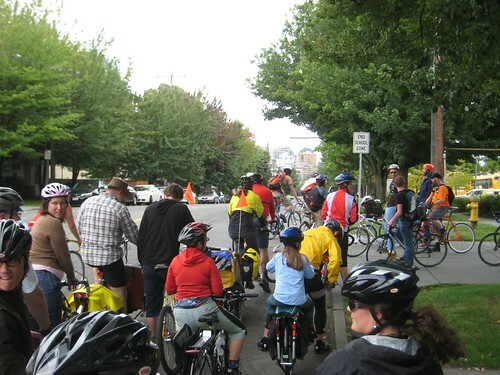 We did, however, spy a bunch of the cargo bikers riding home near Eastlake as we attempted to fish in Lake Union.